The aptly named Curva features sensual curves and flowing lines to create a modern, innovative design and an eye-catching bathroom. 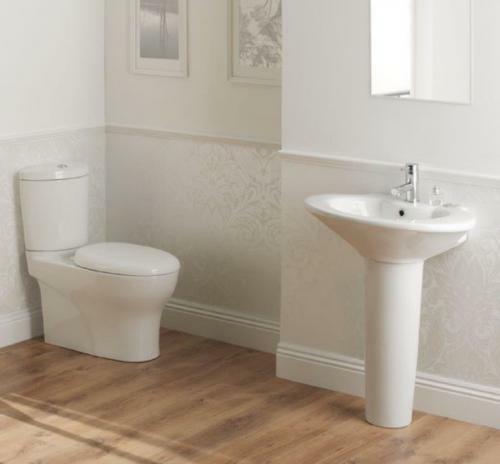 Mix & Match this set with any Carron Whirlpool Bath. Due to the fragile nature of this product this pottery is *only available to purchase if you are ordering a bath from us, the complete suite will be delivered on a pallet. *You can collect the pottery from our factory in Southampton without buying a bath.